is my way of dealing with and confronting globalisation. The venture – to produce 1,000,000 pieces of porcelain dishes before my natural death with my own hands – begun in 2014. 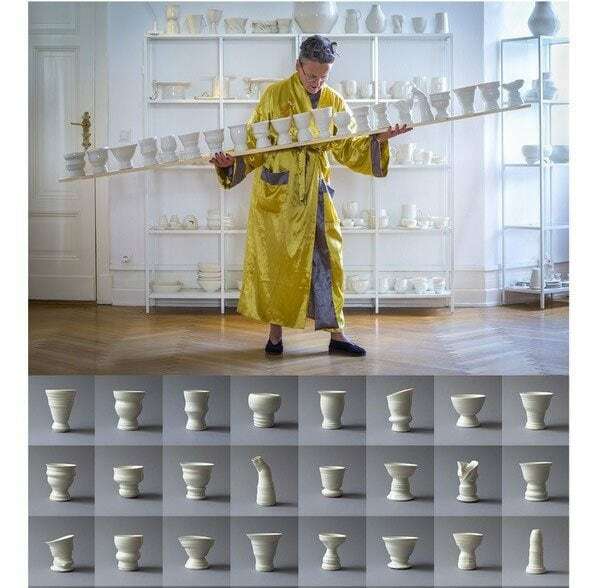 Every item is engraved with a chronological number, based on the order of its creation, turning each porcelain item into a unique, individual object. 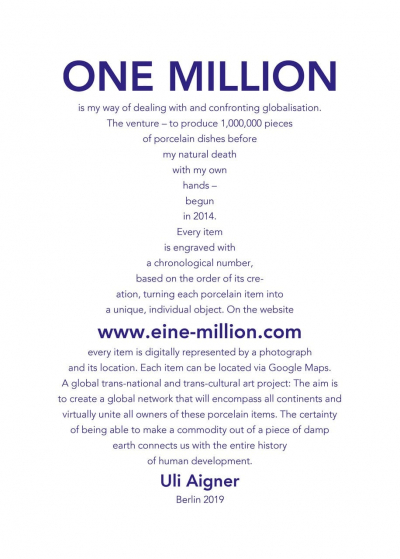 On the website www.eine-million.com every item is digitally represented by a photograph and its locations. Each item can be located via Google Maps. 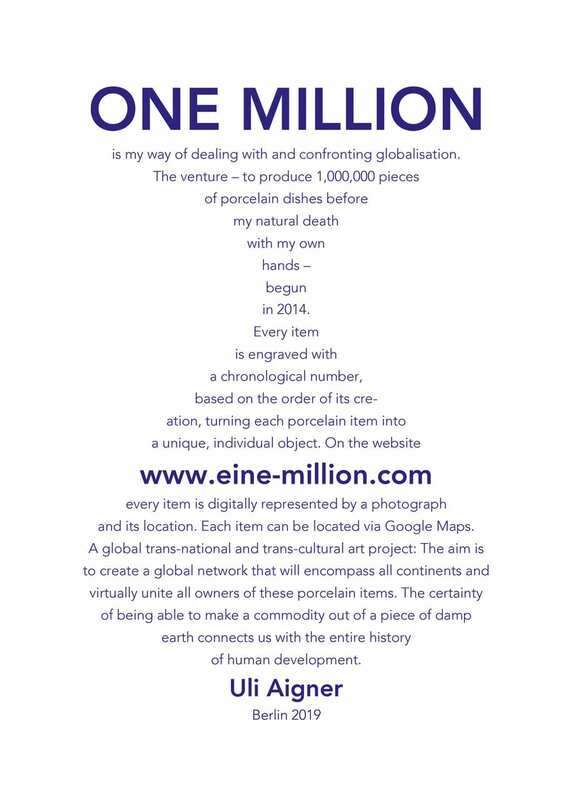 A global trans-national and trans-cultural art project: The aim is to create a global network that will encompass all continents and virtually unite all owners of these porcelain items. The certainty of being able to make a commodity out of a piece of damp earth connects us with the entire history of human development. “I started to craft porcelain vessels by myself. The vessels are chronologically numbered from 1 to 1,000,000. In each piece, shaped by my hands on the wheel, the serial numbers are engraved in the still soft porcelain.” For Women.Now, Aigner developed a new series that references Judy Chicago’s iconic The Dinner Party, first shown in 1979. Her photo piece, PREKÄRE BALANCE (“Precarious Balance”), on display nearby, shows the artist herself in Chinese-inspired dress; in a gesture that pays tribute to a globalized world, she offers goblets as material evidence of the achievements of countless women. The goblets shown in the exhibit not only display a number, but also the names, dates of birth, and dates of death of Austrian women who have shaped their nation’s history and culture in the past, as well as the names of the artists participating in Women.Now.